Foil Stamping - Services - Pepperite Thermographers, Inc.
A graphic stamped in foil really makes an impression. The glittering golds and silver or the multiple matte colors gives it a look like no other process. Select a foil color to use with our duplex paper for a stunning invitation. Or choose the foil color and napkin color combination to match your reception colors. For business stationery and business cards, foil stamping works well with other printing processes. 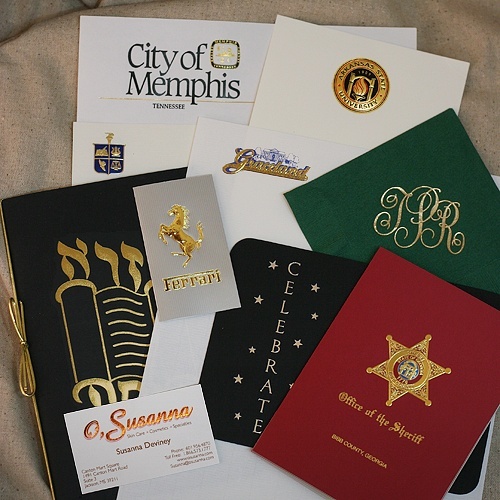 Combine with flat printing, embossing or even a second foil color to create a striking image.